Walker Cup skipper Colin Dalgleish is begging Shane Lowry to listen to Padraig Harrington and put his pro plans on hold. The Scot is desperate to frighten the life of the Yanks by sending out the Irish Open champion to win back the trophy at Merion from September 12-13. Colin Dalgleish and Rory McIlroy at the 2007 Walker Cup venue, Royal County Down.Anxiously waiting for a call from his No 1 star, Dalgleish said: "It think it would be great if he stayed for the Walker Cup. It is one thing for me to be telling Shane that but when Padraig Harrington is telling him to take his time, I agree with that 100 percent. "I think if you are going to listen to one person in the whole game, Padraig Harrington is the guy to listen to. He has been there and done that." With his tour card guaranteed until 2011, Dalgleish believes that Lowry can mix amateur golf with European Tour invites and then go out with a bang in Pennsylvania before turning pro on September 14. He said: "If he plays in the Walker Cup, I think that the country of Ireland and world golf would think, wow, that's a classy move. This guy is a bit different. He is not just jumping to turn pro straight away. He is going to play for Ireland in the European Team Championship. He is going to play Walker Cup and that's a bit special. "From a personal point of view, he has got a chance to be seriously talked about at that Walker Cup. He is going to be the leading light in the GB&I team. His achievements are extraordinary and I think it is going to put him in front of an American audience where otherwise he would have to start again to do that. "Commercially it is a great move for him too. But from the point of view of enjoying the game of golf, he has got time on his side and I so pleased that Padraig has come out and said that to Shane. "There are many professionals that would be telling him to turn pro. We passionately want to have him available for the Walker Cup but I genuinely believe that without question, it is in Shane's best interests to do that." Shane Lowry and Colin DalgleishDalgleish sent Lowry a text just seconds after he holed that tiddler to claim the trophy on the third play-off hole and he's hoping against hope that the Offaly man will have the sense to see the big picture. Explaining his argument, Dalgleish said: "His extraordinary achievement allows him to turn pro on his terms. If he had finished second or third that would not be the case. He would probably be bounced into chasing seven invites to try and get enough money to get his card for 2010. "But right now he has a golden opportunity to do something a little bit different and I think the money will wait for him. "It is fairy tale stuff and his head must be spinning. When I got back home yesterday I watched it on TV and the shots he was hitting in those conditions in the driving rain on the play off holes were just extraordinary. The three wood he hit on the second play off hole to 15 feet was amazing. "He is a great lad and a great team player with a lot going for him. He is bright and clearly very talented and this couldn't have happened to a nicer guy as well. I think this gives him the opportunity to do something a little bit different and it is going to steady him up massively. 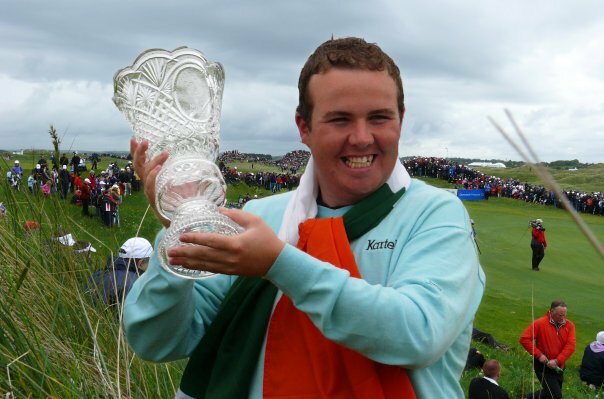 "He is going to take inspiration from Rory and others will take inspiration from Shane. 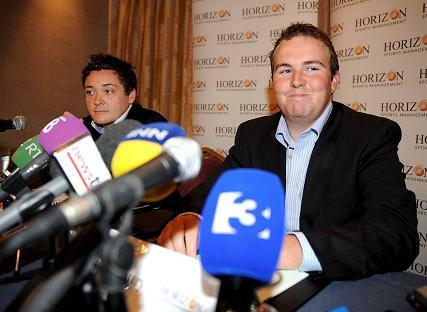 I am sure Shane has taken a few pounds off Rory in years gone by. He knows he can beat Rory from time to time." Dalgleish is hoping they are not playing for money too soon, but that now appears as unlikely as a Lowry win did seven days ago. Triple major winner Padraig Harrington has urged Shane Lowry to have enough self-belief to put the pro game on hold and play September’s Walker Cup. Ireland’s greatest player teed it up in three Walker Cup matches between 1991 and 1995 before grabbing his card at the Q-School. Conor Ridge and Shane Lowry.Folk hero Shane Lowry is set to announce he’s turning professional at a Dublin city centre hotel on Thursday. But his new manager, Horizon Sports’ Conor Ridge, has rubbished suggestions that the shock Irish Open winner can become an overnight millionaire.